In 2013 the Cronut was king, kale continued to be the green in the limelight and Sriracha reached its saturation point. 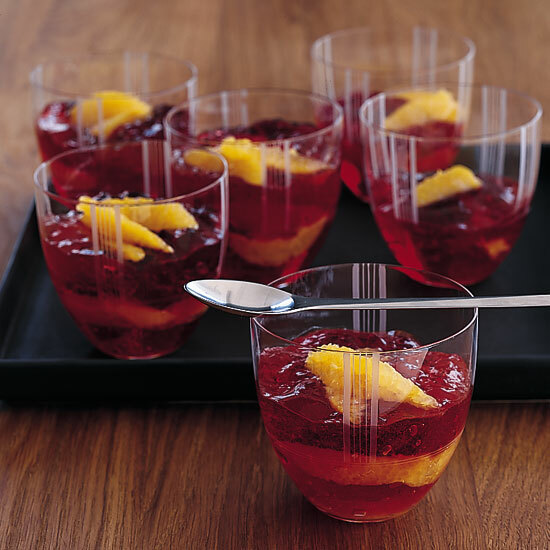 Now, it's 2014, which means it's time for a new pastry, elite Jell-O shots and green chefs. Here are five things we're excited about this year. Chicago's The Dawson uses vintage molds and choice spirits like amaro. The Original Dinerant in Portland, Oregon, serves a daily Jell-O shot, made from scratch with always changing flavors; sometimes they use pudding and call them Cosby Shots. Like all good shots, they're a Happy Hour special ($2) in flavors like Sea Breeze, made with vodka, cranberry and orange juice. Likewise, New York City's Meatball Shop sells a daily changing "Jelly Shot" with flavors like the Manhattan, made with vermouth, whiskey and a brandied cherry at the bottom. Of all the ethnic street food that's been blowing up, one is especially huge: Thai cooking. At the upcoming Night + Market Song, in Los Angeles, Kris Yenbamroong celebrates northern Thai cooking even if some of it—like water bug relish—sounds daunting. (He swears it's delicious). New York City's Somtum Der has a signature dish, papaya salad (som tum); there are 8 different varieties available at the restaurant. And at the coming-soon spot Kin Khao in San Francisco, star blogger and Bangkok-native Pim Techamuanvivit has been Instagramming the authentic dishes she'll serve, such as rice noodles with spicy coconut shrimp. That's “perhaps the dish that best illustrate a Thai cook's deft hands at balancing sweet, sour, and salty,” she says. It's not just a dish or two on their menu; now chefs are building entire restaurants around their tricked-out grills. The new TBD in San Francisco divides its menu into sections called Smoked, Hearth + Embers, Grill and Plancha. (The only things that aren't cooked on Custom Grillworks wood-burning hearth are in the Raw and Sweet categories, obviously). At Death & Taxes, in Raleigh, North Carolina, opening in early 2014, local hero chef Ashley Christensen will celebrate the wood-fire cooking, with Southern ingredients. "Cooking with wood and coals has such a beautiful simplicity," says Christensen. "I was reminded of that in Uruguay, and am continually reminded whenever I eat the amazing barbecue joints in our state.” Meanwhile, in Park City, Utah, Viet Pham is opening Ember + Ash, where he'll serve seafood cooked, as the name suggests, with live fire (grilled, over embers, hearth-smoked). Don't worry, steakhouses aren't going anywhere. But several major chefs are trying something different. This spring, Jean-Georges Vongerichten will open ABC Home Grown, where he'll serve vegan and vegetarian food with a "global perspective." He's speaking from experience: He says he ate a 70% vegetarian diet growing up, and still is meatless one day a week now. Over in Copenhagen, famed chef Rene Redzepi told the Economist that we should eat more vegetables in 2014. While he cooks giant mushroom steaks, he talks about what he's learned from reading a Scandinavian Army Survival Guide. And April Bloomfield, whose first cookbook was called A Girl and her Pig, is publishing A Girl and Her Greens in June. Who knows if they'll be the next Cronut? If an enterprising baker will mash up his awesome brioche recipe and create the Bricuit? Still, biscuits are poised to be big this year. There's the upcoming Buttered Biscuit in Chicago in the Ohio House Motel; it's being described as a “farm-to-table waffle house” with breakfast, lunch and dessert biscuits. Down in Jacksonville, Florida, Maple Street Biscuit Company is already on their second spot with all kinds of fried chicken biscuits. At the eco-friendly Biscuit Head in Asheville, North Carolina, there are options like Brisket Biscuit with BBQ hollandaise (and the choice of seitan “sausage” as a substitute for the beef). And if you go to just one place for biscuit inspiration this year, hit the International Biscuit Festival in Knoxville, Tennessee, in May. Related: Best Biscuits in the U.S.